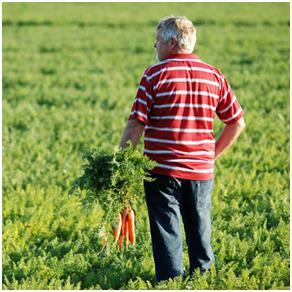 Carrots became the first success story in 2011 when an unusually high yield led to 40 acres of excess carrots for a grower in central Wisconsin. The grower donated the carrots to Field to Food Bank, and the industry quickly united to solve the logistical hurdles—a harvester was found with trucks to move the crop to a nearby processing plant, cans were donated, and 450,000 pounds of delicious carrots were on their way to hungry families across the state. Field to Food Bank has now expanded to include sweet corn, snap beans, potatoes, and onions with the Wisconsin vegetable growers and processors becoming an integral part of this statewide program that provides food to those who need it most.